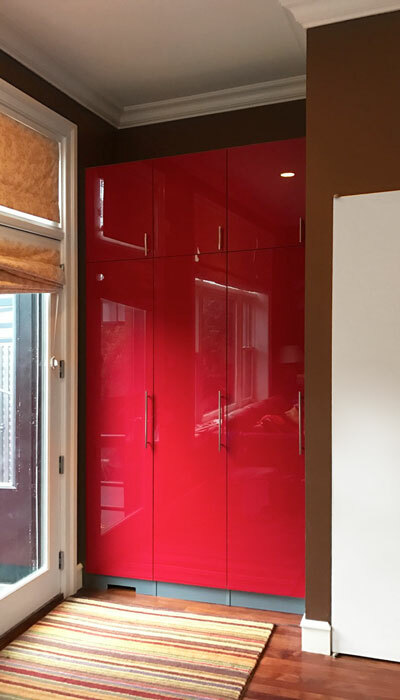 In a special, custom ordered cherry high gloss laminate, this is surely a head-turning design. 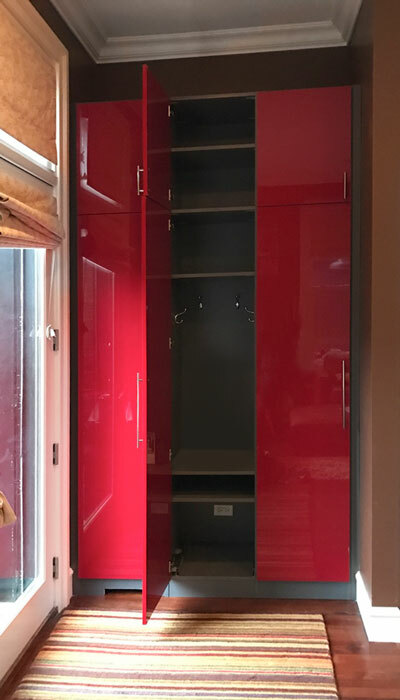 The ultramodern and high fashion mudroom lockers have a cool Moonlight interior making this design a beautiful contradiction. 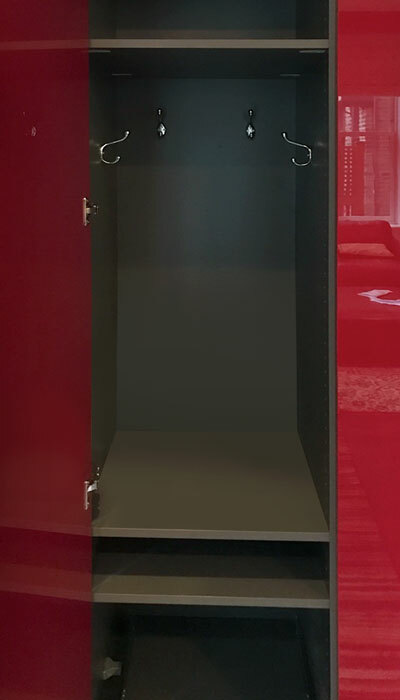 The mudroom lockers have hooks on the inside and offer an appropriate place for hanging bags and backpacks whereas shelves provide a place for shoes, hats, gloves, and more. Polished chrome bar handles are a sharp and stylish touch — perfect for the contemporary aesthetic. This design offers inspiration of unique mudroom ideas for small spaces.